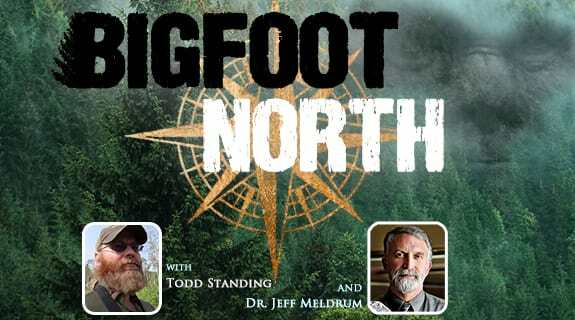 Join Todd Standing and Dr. Jeff Meldrum as they welcome Mike Rugg to Bigfoot North Radio. 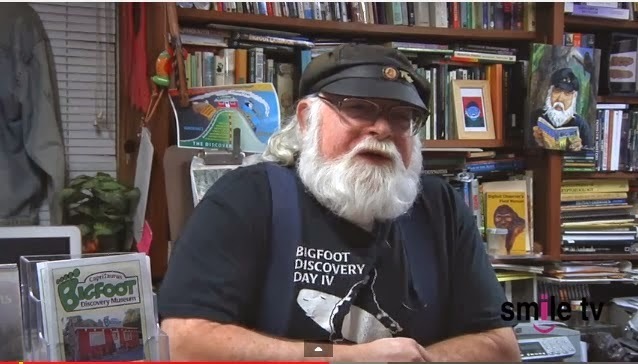 Mike is the Director of the Bigfoot Discovery Museum in Felton, California as well as a co-founder of The Bigfoot Discovery Project. The museum is a really cool place and from what I hear Mike has a wealth of knowledge on Bigfoot and is fun to talk with. This episode of Bigfoot North originally aired on May 7, 2014. This show is SO FAKE , its hilarious!!! But not Mountain monsters AIMS team they been hunting BIGFOOTS for years. .. I just recently learned of this show. I'm hooked! Been home recovering from knee surgery and "On Demand " has been my entertainment. Before this I never missed an episode of Finding Bigfoot. Mountain Monsters beat the heck out of Finding Bigfoot. I love it! I watched season 1 & 2 back to back. I think it would be awesome to go on one these "hunts" with these people. What a bunch of crap,they never fire off a shot.they say that they see these damn things. Flash lights, what the hell I have a kill light that shines green for 300 yards plus. I have to say this. Real or not,it's very entertaining. Keeps me on the edge of my seat. Truly,I believe it's fake. After all these yrs and still no monters caught. This is what people like so give it to them. I give these guys two thumbs up. Just my opinion. Sorry to say this, this show is a fake. Those creatures or so called beasts.are made up. It is genetically impossible for such creatures to exist. These are facts, I dare anyone to prove me wrong. I will even go on the show to prove it. Genetically impossible. That's an interesting and large claim. To be 100% real.You never what people are doing in their barns,Labs or even in their basement. Just like breeding a tiger with lion. Anything in today's world is possible. This is why other countries just laugh at us and call us moronic fools. Please please stop with this redneck crap before we are considered even worse then our already pathetic education system shows the rest of the world. Shows like this reek of what is wrong in this country. I hope y'all are proud morons, as that is all y'all will ever be. No mater how much money you make from this ummmm slap comedy. Wild bill needs to be placed in a mental care facility immediately. Yes, this show is why other nations laugh at us. Not all of our real issues but a hillbilly bigfoot show. BTW, if someone is a moron, how do they know if they are proud? Final thought, maybe we all should worry about real problems and not people enjoying a show. Love the dark forest story line and the way the show is going. Buck is doing fine and we always worried about Jeff and betrayal by trapper. The show is so fake, they wear lights on their heads and tell everyone to get down to hide but the camera man has their lights on them you can see their shadows. (So much for hiding) each one has a different gun with them, Huckleberrys looks like a machine gun. Crazy show I watch it and laugh each time at just how ridiculous it is. Finding Bigfoot is just as ridiculous with those crazies doing Bigfoot calls. They never get anything either. The best Bigfoot show I have ever seen was Les Strouds Survivorman show.